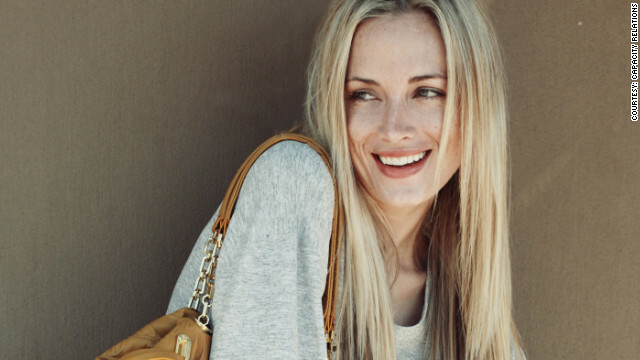 Reeva Steenkamp was someone I never heard of until two days ago, like I imagine the rest of the world. Valentine's Day morning brought with it news of her untimely death. I read the news story in horror, curled up in my comforter (before Smores peed all over it as she tends to do). This story was heartbreaking because she seemed like she just- wow. From all accounts, just a radiant, positive and engaging person. She was on the cusp (it seemed) of REALLY making a name for herself- and then she's just shot to death Valentine's morning. Reading that, I became terrified for all the women I love in my life. I didn't include Oscar Pistorius' name until now because I'm gradually becoming more and more disgusted with him. At first it sounded accidental, him shooting his girlfriend in the early morning hours, but now it's not so sure. I (like the rest of the world) was perplexed by the sudden fall of a man who served as such an inspiration. We'll find out soon what actually happened, but perhaps the most meaningful thing to do right now is to find a positive way to carry on her legacy. Reeva was an outspoken advocate concerning awareness of violence against women. Seeing as she died in an act of violence and that V-Day also doubles a day to address violence, it makes it all the more tragic. This is an issue that is disgusting to see still prominent in the year 2013. When does it end, really? South Africa. The United States. Afghanistan. Saudi Arabia. As the news coverage of this case rages on, please remember Reeva not as a murder victim or the character in a scandal, but as a woman who was doing what she could to promote positive change in the world.